The following article was published in the July 2008 issue of Motorcycle Industry Magazine. He told us, "many of NORCO's dealers are selling these lifts to consumers, while also using them in their service bays. 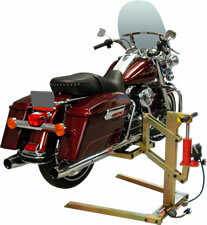 Consumers are always looking for quality and are sick of using cheap, non-repairable stands," noted Siverts. "Far too many Dealers are doing far too much complaining instead of looking for other items to sell when bike sales get slow," he told us adding, "While there may not be as many bikes sold per customer store visit, owners should be looking for other items with which to capture a window shopper's interest." 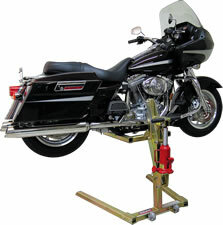 During the last decade the industry has seen exceptional motorcycle new unit sales, Siverts continued, and all those bikes will eventually end up needing maintenance and repair work and, with older bikes being in service longer, it means a great opportunity for equipment sales for those bikes. "Listen more and you’ll sell more” he explained.